Yes we should be able to help you. 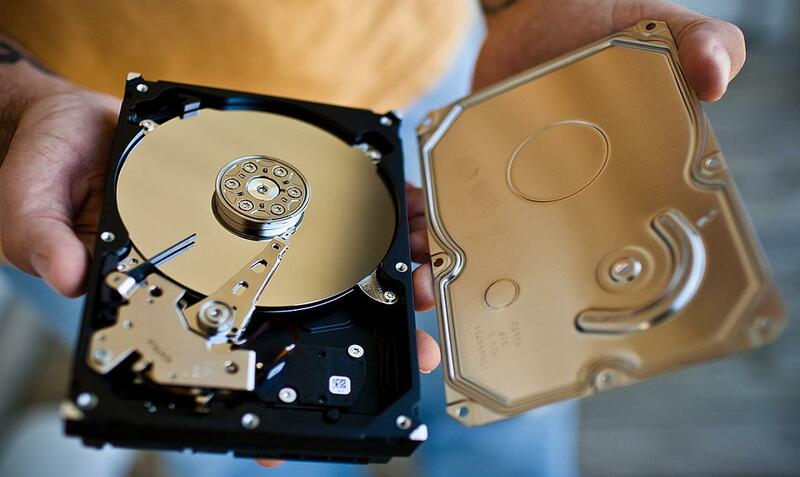 The reasons why hard drives break and develop problems are many. It’s not worth trying to figure out what this matter with the drive is either because many of the different faults have the same symptoms, so it’s fairly easy to misdiagnose what the problem is. This is a problem that can prove fatal if you then apply the wrong type of fix as the result is you can lose all your files. Saying that, if there’s nothing seriously wrong with your hard drive we may well be able to get your data back using our own skills but due to how complex hard drives are we don’t actually repair them ourselves, instead we send them to our data recovery partners in either Blackburn, Burnley, Bury or Manchester. For those of you in and around the capital, the same company have a data recovery operation in London also, which is based on Lombard Street, very close to the Bank tube station. In the meantime here’s a good data recovery blog that you may find helpful as it contains much useful advice and links about repairing and restoring the files from busted hard disks. I’ve recently received a number of questions regarding hard disk issues. I’ve listed some of them below. The Seagate 9SD2N1-500 portable hard drive has stopped being recognised. the power LED lighjt comes on but it beeps repeatidly and isnt recognised by my computer. My external Hitachi 2TB Touro Desk DX3 dropped off my desk and now cannot be recognized by any PC’s. Sounds like the heads may have collapsed but cannot confirm as i am unable to open the casing. I am inquiring on the cost for a diagnoses of the hard drive as there are home videos that i would like to recover IF the hard mechanics are too badly damaged. Can’t access LaCie hard drive. Makes ‘clicking’ noise and won’t turn off one powered up. Contains some work stuff but it is the photos that I am concerned about. Am based in Rochdale, and can drop the disk drive off anytime from Thursday morning. Some time ago I attempted to re-format my Seagate SRD0SP0 so that windows could be installed on a notebook. The laptop battery was not fitted and I accidentally removed the power cable during the process! The laptop won’t recognise the Seagate anymore and I’m concerned I’ve lost all the drive data. If possible I’d like the data recovered and the Seagate format returned to normal (NTFS?)! I have a Samsung M3 1TB portable drive that has stopped working. When plugged into to a computer it will beep for a few seconds and thats it. Explorer doesnt seem to pick up the drive but it seems to be listed in device manager. There is 600 GB of data i wish to try and recover can you advise please. I divide problems into two distinct types: those where the BIOS still detects the disk and those where it does not. If the hard disk is still detected then the computer can still interact with it. This means the problem can usually be handled without the need to engage an expert company. All that is usually needed is some hard disk diagnostic software. If you’re going to tackle hard disk recovery yourself then sites like http://data-recovery-tips.co.uk/ invaluable as they provide excellent diagnostics and troubleshooting information you can use to get your data back. When the computer can’t connect to the disk it means there’s a serious problem with the hard disk, one that often requires professional help. Simply Google something like “data recovery services” from your browser. If you do choose to use a data recovery company make sure you check it out first and ensure the company has a good pedigree and is able to recover your data.